A technology enabling the embedding of Excel spreadsheets in Word documents, is enabling Industry 4.0. In the '90s, automation companies adapted Microsoft′s object linking and embedding (better known as OLE) for their needs. The resulting Open Platform Communications (OPC) protocol later became OPC UA in 2008. OPC UA IS A FRAMEWORK FOR NETWORKED nodes-be they operation technology (OT) or information technology (IT)-to exchange information. The focus on information instead of data distinguishes OPC UA from technologies such as Ethernet-based Time-Sensitive Networking (TSN). Whereas TSN enables Industry 4.0 by standardizing how OT and IT nodes can effectively shuttle bits and bytes, OPC UA organizes and structures data, transforming it into information. It operates at the upper layers of the OSI reference model for networking, whereas TSN is a Layer 2 protocol. Operating at a higher level, OPC UA runs atop any Layer 2 protocol, but TSN is especially complementary. Key OPC UA functions include discovering servers (sources of data), reading servers′ data, notification of events, and execution of methods (software). As this list hints, OPC UA combines client-server and object-oriented computing. It′s a flexible technology, providing a framework for defining data structures instead of prescribing a specific set of data structures. Importantly, OPC UA provides a security model for authentication, access control, and data encryption. Pub-Sub "publishers" send data to a broker for rebroadcast to subscribers depending on the topic of the message. Recently, the OPC Foundation added publish-subscribe (pub-sub) capability to the spec as an alternative to the client-server model and its request-response approach. 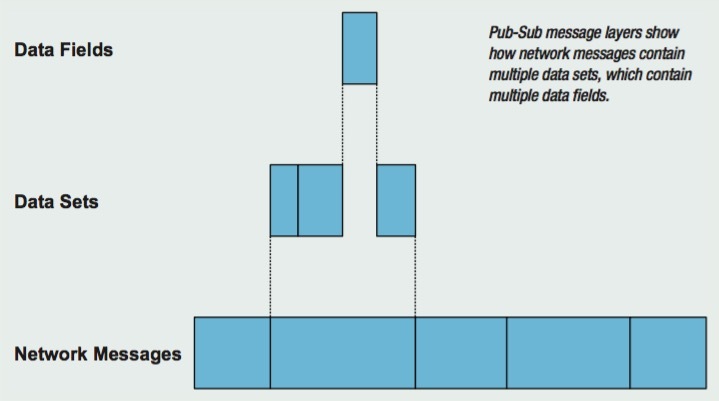 In concept, publishers (data sources) in the pub-sub model send messages to a broker that relays the messages to data-consumer nodes that have previously requested to be sent messages on a particular topic. Compared with client-server, this approach decouples sources and consumers of data and transforms a system to an event-driven model. The key advantage of a high-level framework like OPC UA is that it simplifies software running on PLCs, HMIs, and ERP systems. Suppliers do not have to define their own protocols, the OPC Foundation certifies systems′ standard compliance, and different vendors′ systems can communicate. The result is that a factory can be set up quicker, gathering and analyzing more information. This additional analysis can improve operational efficiency and, by spying problems early, reduce downtime. OPC Foundation added another capability to the pub-sub spec: multicast. Multicast is the simultaneous transmission of a network packet to multiple hosts and can be implemented by either IP (Layer 3) or Ethernet (Layer 2). Either protocol is fine for OPC UA, which can map messages to IP using IP′s UDP format or bypass IP and map them directly to Ethernet. The significance of multicast-and the reason it is part of the pub-sub extensions- is that it eliminates the broker in the pub-sub model. Instead of a broker, data sources and consumers join a multicast group. Any data sent by a source (published) to the group goes to all consumers subscribed to the same group. Joining is trivial in Ethernet (Layer 2): the network broadcasts multicast frames everywhere, leaving it to receivers to decide whether to pick up the frame based on the destination address (signifying the group in this case). Multicast is more intelligent in IP (Layer 3). Internet Group Management Protocol (IGMP) and Multicast Listener Discovery (MLD) are IP functions built into switches and routers that send multicast packets only to specific network ports. Moreover, the OPC UA format for pub-sub messages defines nesting layers. An OPC UA network message contains multiple data sets, each of which contains multiple fields. This allows an industrial PC controlling multiple PLCs to pack data sets destined for each PLC into a single network message, reducing network traffic, similar to how legacy industrial network protocols daisy-chain messages destined for different network nodes in a single network frame. But unlike some legacy protocols, there′s no mechanism for packing data going in the reverse direction, from each PLC to a central industrial PC. OPC UA pub-sub bridges the legacy methods by which equipment communicates in a factory to modern methods reliant on standard Ethernet and (optionally) IP. The pub-sub model streamlines communication compared with client-server, replacing redundant polling for data with automatic transmission of data when it changes. 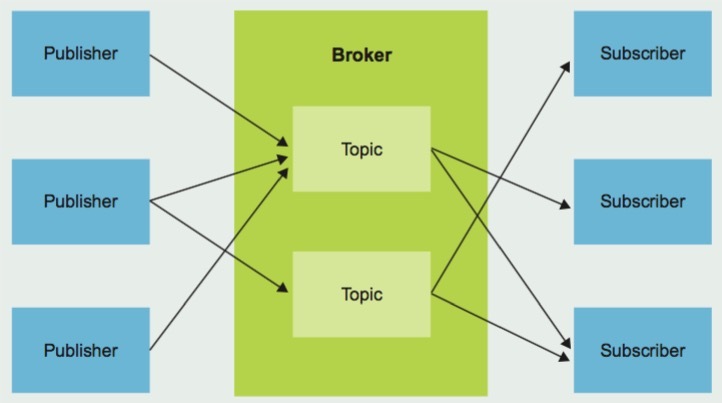 Multicast enables pub-sub without adding a discrete broker to the factory. The nested layering of data sets improves network efficiency. Missing, however, is the real-time capability of legacy industrial networking protocols. This is where TSN comes in, adding real-time capability to standard Ethernet. Standardized at about the same time as OPC UA′s pub-sub and multicast specs, TSN boosts OPC UA. Operating at different layers, the two technologies complement each other, yielding a complete communication stack for the Industrial Internet of Things. OPC UA standardizes the protocols by which applications exchange data and TSN enables this exchange to meet factories′ timing requirements. To bring the two technologies together, leading industrial-automation and networking companies have come together to develop OPC UA TSN. Because OPC UA and TSN operate independently and are standardized separately, little needs to be done for the two to work together. One of the key things OPC UA TSN does, however, is to define a mechanism for OPC UA nodes to tell the TSN layers how to prioritize data streams. This cross-layer control is essential to enabling operations technology (OT) using the OPC UA framework to get the data they need when they need it. It also enables time-sensitive OT to coexist on the same network as IT functions. Network convergence isn′t about saving cost by replacing two networks with one; instead, it′s about enabling new capabilities. Convergence enables capabilities as simple as deploying new firmware to OT systems over the same network as OPC UA traffic without disturbing the latter, replacing sneakernet. Cameras for oversight of production can also be added to the network. New IT systems for analyzing production can be added, tapping into the flow of OT data and ultimately improving productivity and quality. Decades after a technology emerged from the primordial ooze of PC information technology to improve factory operation technology, its descendant has morphed to become something that serves the convergence of the two domains. Capabilities like OPC UA and TSN require silicon support, and NXP offers the Layerscape LS1028A processor as a solution. This dual-core device integrates an Ethernet TSN switch and Ethernet TSN endpoint ports. Features such as a hardware root of trust and encryption acceleration help developers secure systems. With real-time patches and Xenomai Linux extensions integrated in the OpenIL distribution, the processors′ two speedy CPU cores simultaneously can host a high-level OS and RTOS. Its graphics capabilities make it suitable for HMIs. The OpenIL community is in the process of adding OPC UA support. The combination of this support and the LS1028A processor′s TSN capabilities will create a complete platform for converged systems.